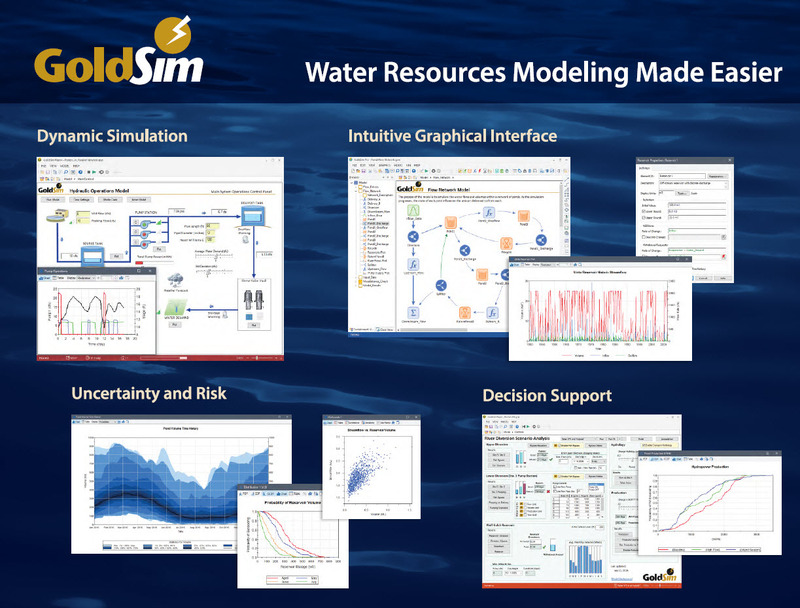 At the exhibit, we highlight some of GoldSim's basic strengths, which are dynamic simulation, intuitive graphical interface, decision support, and modeling uncertainty and risk. Prior to the conference, GoldSim provided a 1-day workshop titled "Informed Risk Management: Managing Risk by Simulating Climate Uncertainty in Water Management Models". The workshop was well attended with people from all over the country in the private and public sector. 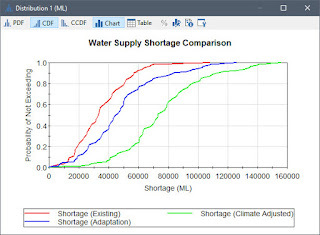 This hands-on training session was designed for engineers and scientists involved in modeling and decision support for water resources applications. 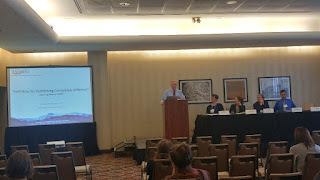 The focus was on dynamic simulation and modeling techniques for incorporating uncertainty and evaluating risk and reliability of water resources. Through hands-on examples, attendees practiced building their own water management model with a custom user interface, data input, model functions, and result processing for evaluating climate uncertainty and its impact on water quality and quantity of a typical water system. 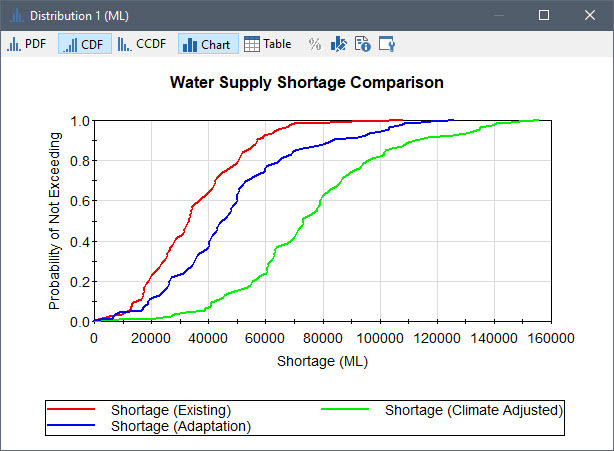 This example model also assessed water supply vulnerability under simple adaptation scenarios. If you are interested in obtaining a copy of the model produced during this workshop, please make a request via the GoldSim Help Center. Also, we are presenting another 1-day workshop at the Arizona Hydrological Society Symposium this coming September in Flagstaff Arizona. It is open for registration now. Feel free to sign up early to secure a spot for this hands on training!